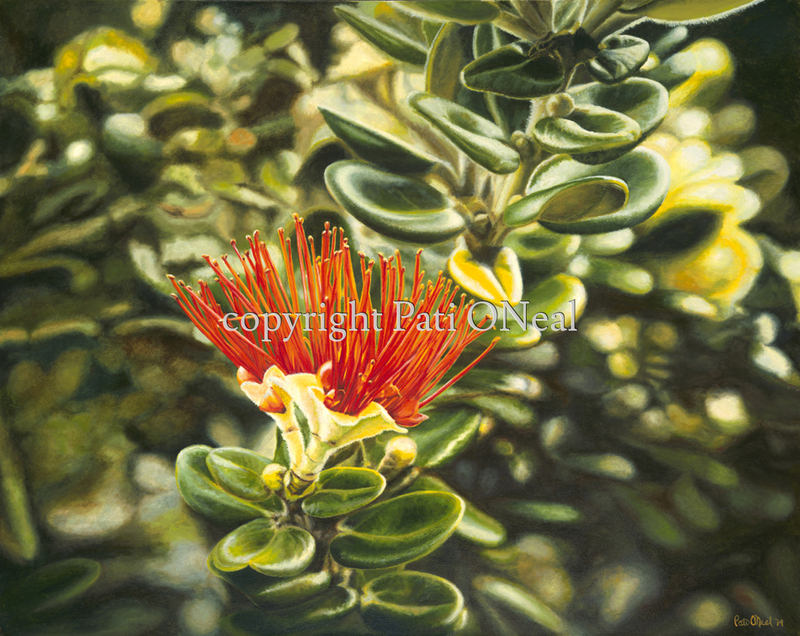 A dramatic original oil on canvas of the lovely 'ohi'a lehua blossom. Currently available at Sunshine Arts in Kahalu'u, or contact the artist for a similar commission. Limited edition giclées and matted mini-prints also available.